Are you stuck? Suffering from writer’s block? Perhaps you feel you have something to share but just can’t seem to get it out there. I created a multi-purpose tarot healing technique to use as a tool for your creative journey, whatever creative pursuits you are engaged in. 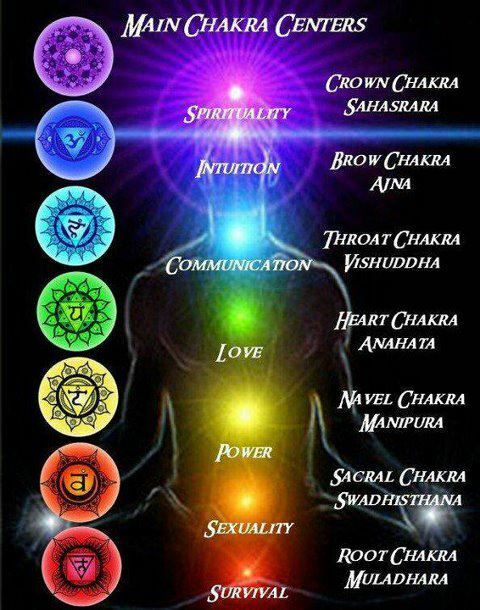 Sit in silence for a minute and focus on a point between your solar plexus and heart chakras (see chart). Visualise a point of white light there, the size of penny. Breathe in joy into this point of light and breath out sadness, anger, pain, stagnation… Use as many breaths you need to clear the negative energy until you breath out pure joy. See how this light expands to envelop the two chakras above and below, and then expanding even further until your whole being and the aura around you is bathed in white light. Turn some groovy music on – the sort of stuff that is high on mojo and happiness. 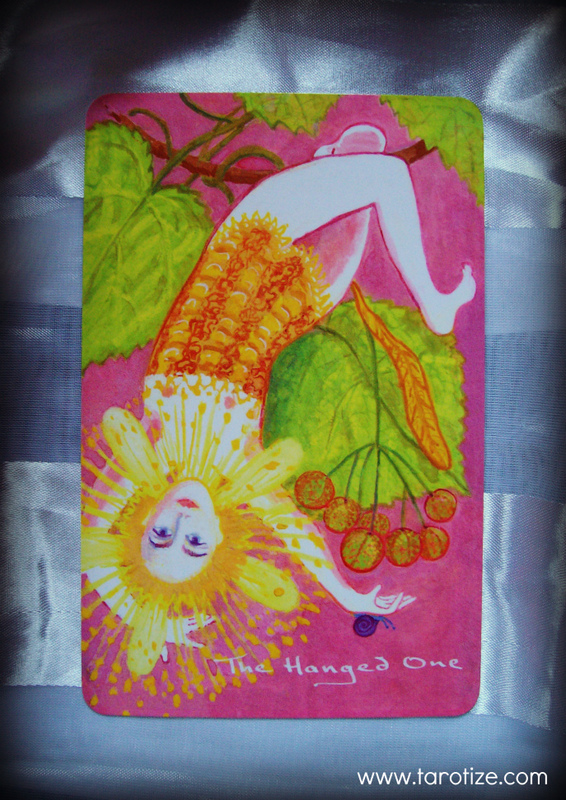 The Hanged One – my Shadow Card. Notice the colours corresponding with the SP, chakral and heart chakra colours. The message is one of joy through new perspectives and letting go of control. The movements to release a block at the SP level were inspired by the swaying arm motion depicted in the card. Sit with the card image for a minute and let it give you its message on as many sensory levels as possible. Then tune into your body to feel if the card energy resonates with any tension/block in your body. Sit down and pull the white light back into your body to the midpoint between your SP and heart chakras. Breathe the white point of light up into your third eye chakra and will it to clear any psychic debris from your third eye. Ask your higher self and your angels for insights about how to manifest your creation. Allow Spirit to inspire you. You can use this exercise to clear any creative blocks and reconnect with the source of your creative joy and passion at any point along your creative journey.